The sins of the father are visited upon the son, and thanks to “the shine” the ghosts of the past are dragged into the present in Stephen King’s thrilling, chilling sequel to The Shining. Doctor Sleep is a parable about self-enslavement – to alcohol, to memories, to the spark of life itself – and sometimes the only way to break free of those shackles is to shake hands with the Angel of Death. More than ghosts, Dan Torrance fears he’ll turn into his father, so he does karmic penance as a hospice caregiver. Dan becomes a psychic midwife for the dying, helping their troubled souls cross-over with the shining, earning him the nickname Doctor Sleep. 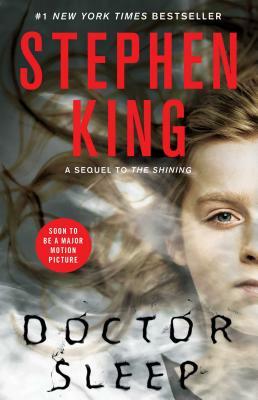 Contacted by a girl who eclipses his power, Dan is drawn into a war against the True Knot, a tribe of soul-sucking nomads who prey on “Shiners.” Doctor Sleep gives a whole new meaning to “passing the torch.” It had me flipping pages with abraded fingers. – R. J. Crowther Jr.